Let's start with the case of innocent blue jeans: it takes around 7,500 litres (some 2,000 gallons) of water to make just one single pair! Know what this means? It is equivalent to the amount of water the average person drinks over a period of seven years. That's just one of the many startling facts that emerge from recent environmental research, which show that the cost of staying fashionable is a lot more than just the price tag, according to UN News, which on 25 March 2019 ringed this alarm bell about the immense environmental cost of staying fashionable. "When we think of industries that are having a harmful effect on the environment, manufacturing, energy, transport and even food production might come to mind. But the fashion industry is considered by the UN Conference on Trade and Development UNCTAD, to be the second most polluting industry in the world". As for carbon emissions, the industry is responsible for more than all international flights and maritime shipping combined. 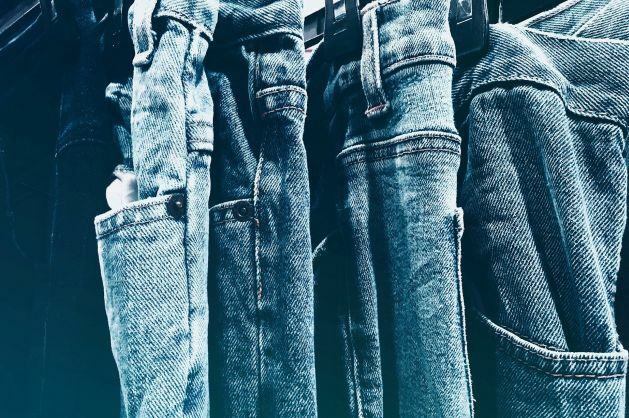 "The dominant business model in the sector is that of ‘fast fashion', whereby consumers are offered constantly changing collections at low prices, and encouraged to frequently buy and discard clothes", the UN specialised body further explains. And it warns that many experts, including the UN, believe the trend is responsible for "a plethora of negative social, economic and environmental impacts and, with clothing production doubling between 2000 and 2014, it is crucially important to ensure that clothes are produced as ethically and sustainably as possible". Furthermore, "the process equates to around 33.4 kilograms of carbon equivalent emitted, like driving 111 kilometres or watching 246 hours of TV on a big screen". Well, the world specialised body goes further to inform that this waste costs money and the value of natural resources. "Of the total fibre input used for clothing, 87 per cent is incinerated or sent to landfill. Overall, one garbage truck of textiles is landfilled or incinerated every second". Elisa Tonda, Head of the Consumption and Production Unit at the UN Environment , one of the 10 UN bodies involved in the Alliance, explained the urgency behind its formation: "The global production of clothing and footwear generates 8% of the world's greenhouse gas emissions and, with manufacturing concentrated in Asia, the industry is mainly reliant on hard coal and natural gas to generate electricity and heat. If we carry on with a business-as-usual approach, the greenhouse gas emissions from the industry are expected to rise by almost 50% by 2030". The UN Alliance for Sustainable Fashion seeks "to halt the environmentally and socially destructive practices of fashion". No wonder: "The industry is the second-biggest consumer of water, generating around 20 percent of the world's wastewater and releasing half a million tons of synthetic microfibers into the ocean annually", UN Environment reports. And it reminds that: "Fashion today is about obsession with outward image and appearance. Rarely do we as consumers consider what's on the inside: the hundreds of thousands of fibres that make up our clothing which have led to an estimated 1.4 million trillion plastic fibres in the ocean". Now last but not least: according to UN cited estimates: "The fashion industry wields considerable power. It is worth 1.3 trillion US dollars, employing around 300 million people along the value chain".